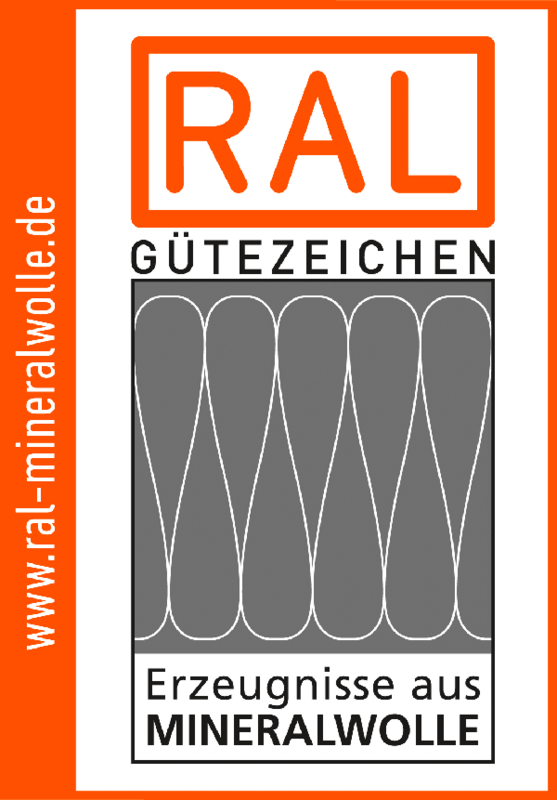 The RAL quality mark 'products made of mineral wool' serves for the orientation of the consumer. Easily recognizable it indicates the checked quality and safety of mineral wool products to every consumer. The awarding of the RAL quality mark is based on the fulfilment of strict requirements, fixed in the quality assurance and test specifications. Such as external and internal monitoring of each relevant production line and the presentation of the compliance exoneration test reports and certificates for all fibertypes, labelled with the RAL quality mark. Compliance with the exonoration criterias means: this mineral wool product is safe due its biosoluability.